In a rare rite, next week will see Texas' Panhandle diocese transfer its cathedral to a recently-rebuilt parish church. Its latest structure born from the ashes of a 1997 fire, St Mary's church in Amarillo (above) will replace St Laurence Cathedral, which became the seat of the 45,000-member diocese after the first Amarillo cathedral, Sacred Heart -- the city's oldest church -- was razed in 1975. In a sign of the evolution of Texas' northernmost church, the new cathedral parish was carved from the boundaries of its first predecessor. In accord with the normal protocol, the petition to shift mother-churches had to be green-lighted by Rome, with the prefect of the Congregation for Bishops, Cardinal Marc Ouellet, said to have turned around a "very quick" approval. The re-designation was sought by Amarillo's Bishop Patrick Zurek given the optimal facilities of the St Mary's plant, above all the new cathedral's more ample seating for diocesan functions. Following a 24 March Vespers at St Laurence led by the metropolitan, San Antonio's Archbishop Gustavo García-Siller, the cathedra will be formally transferred from its current home. The next day, chair in its new spot, St Mary's will host a formal Mass to institute its new status. To be sure, it's worth recalling that cathedrals are far more often built than made. 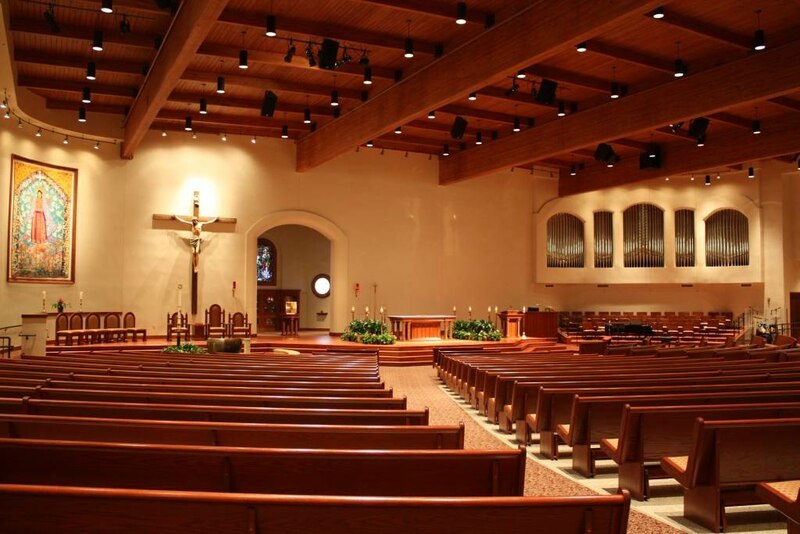 In the last decade, the Stateside church has seen the dedication of four local hubs: Dodge City's Our Lady of Guadalupe in the Jubilee Year, Oakland's Christ the Light and Houston's Sacred Heart in 2008 and, of course, LA's Our Lady of the Angels -- with 4,500 seats, the nation's largest cathedral and biggest Catholic worship-space in the West -- which opened in 2002, measuring a foot longer than New York's St Patrick's Cathedral at its builder's behest. While a handful of dioceses are said to be quietly weighing new cathedral plans at present, no construction efforts are currently afoot on these shores.